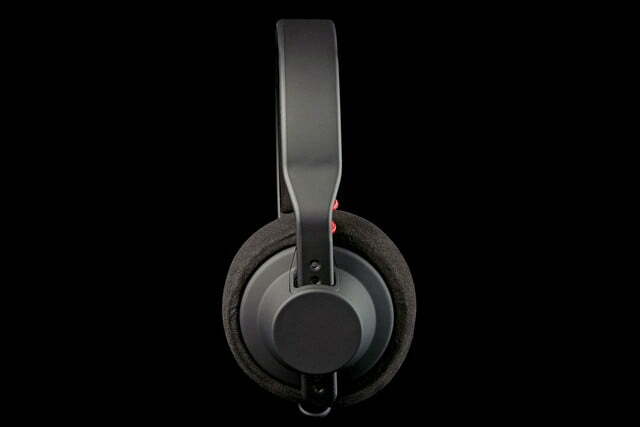 The TMA-1 Studio Young Guru edition bring a flash of presence and clarity to the top end, and keeps all the goodness of the original headset’s silky bass and deep stereo image. 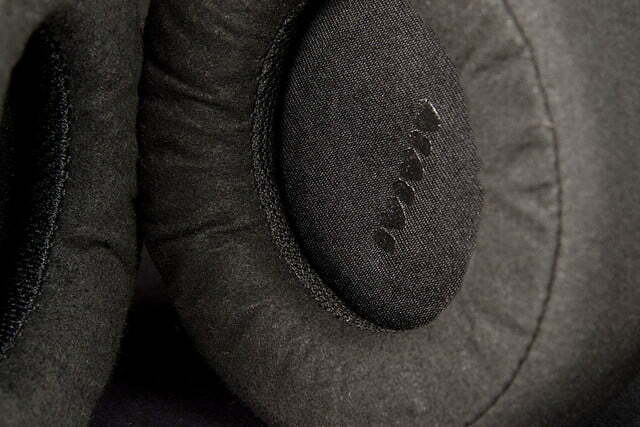 AIAIAI’s original TMA-1 Studio headphones are close friends of ours. Since first checking them out last November, this reviewer has been using them as reference ‘phones – not because they’re the most accurate or precise headphones we’ve tested, but because their golden warmth rounded off with keen detail and wide stereo image fit our ears like a well-tailored suit. So when we heard about a re-voice of the TMA-1 spearheaded by DJ and Jay-Z mix engineer, Young Guru, we felt both intrigued and a little protective. After all, why mess with a good thing? Still, Young Guru has an impressive resume and a serious mind for sound. And the fact that he wanted to work with a semi-obscure Danish headphone maker that places subtlety and performance above brash styling says something from the onset. Accordingly, we had to give this new spin on an instant classic a go. Here’s what we discovered. From a bird’s eye view, the new TMA-1 (we’ll call them the Guru to avoid confusion) looked almost exactly like their predecessor, with similar packaging, and a near identical portrait on the cover. 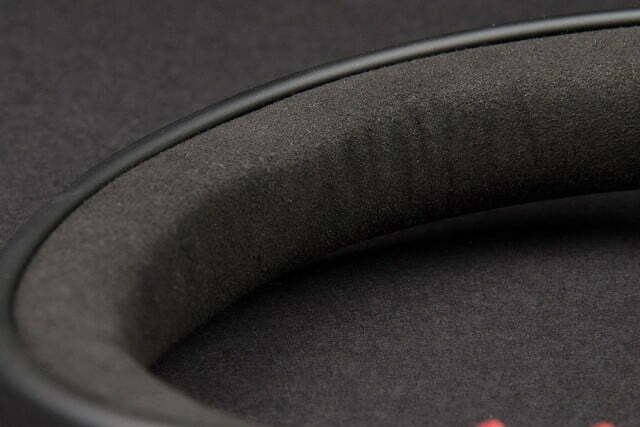 But as we pulled the headset free of its foam bedding, we began to notice subtle differences. 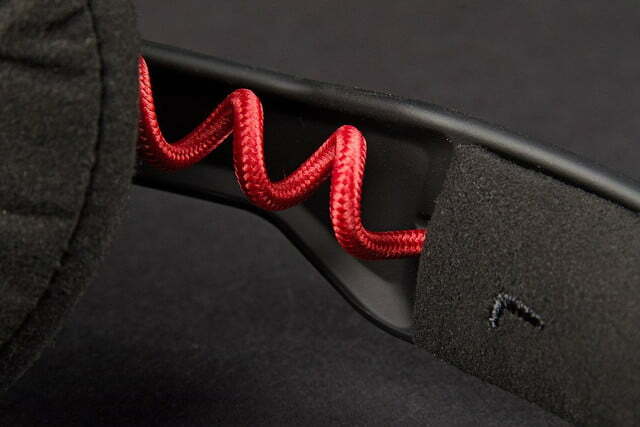 The first change was a splash of color, accenting the original all-black frame with crimson braids along the earpiece wires, as well as on the removable, coiled DJ cable. 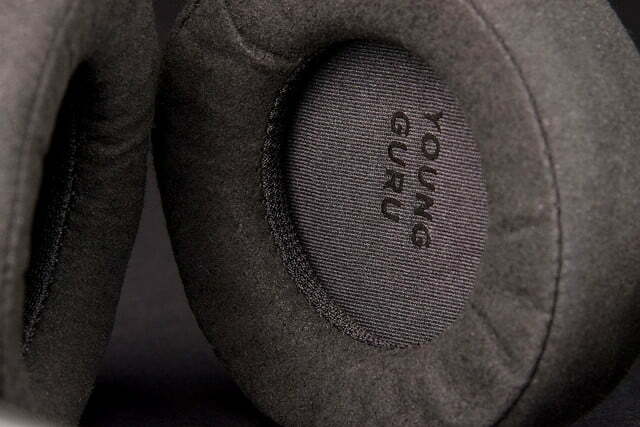 Looking closer, we realized the Guru also replaced the hard foam, doughnut-shaped earpads of the original design with more standard-shaped memory foam, surrounded in velvety microsuede. Inside the box, we found an additional cable with a 3-button inline microphone – something we’d missed last go-around – but the price was bumped up by $20 to $270 as well. Also in the box was a silky, zippered travel bag. 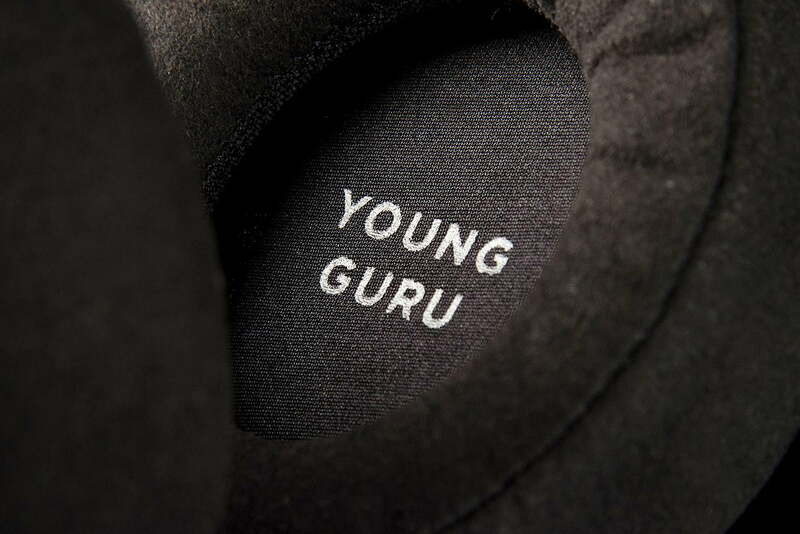 The Guru’s new design does a nice job of bringing a subtle touch of style without departing from the distinct AIAIAI minimalism we dig. The rich red of the braided cables adds just enough character to the headset to give it some pop, but without being flashy. 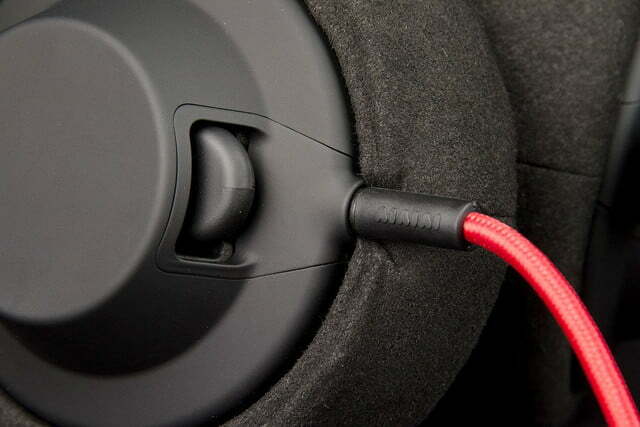 And for purists who feel there’s too much bling with the red accordion DJ cable, the spare iOS-ready cable provides a less conspicuous look, donning a straight, rubberized sheath in all-black. 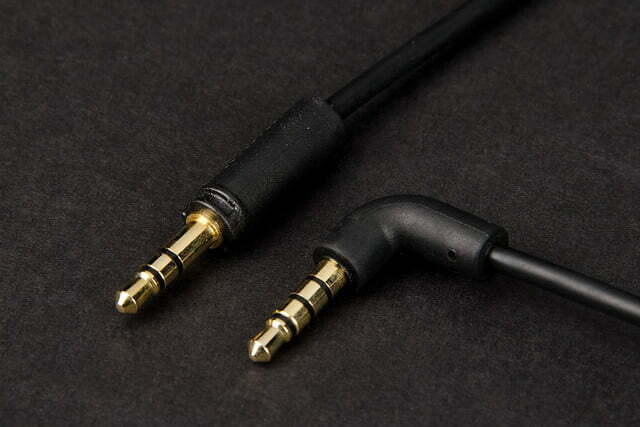 Both cables are terminated with a 3.5mm gold jack, but the DJ cable also provides a sturdy metal casing at the base which houses a screw-on 1/4-inch adapter, also in gold. From the very entrance…we knew the Guru’s added presence was paying off. 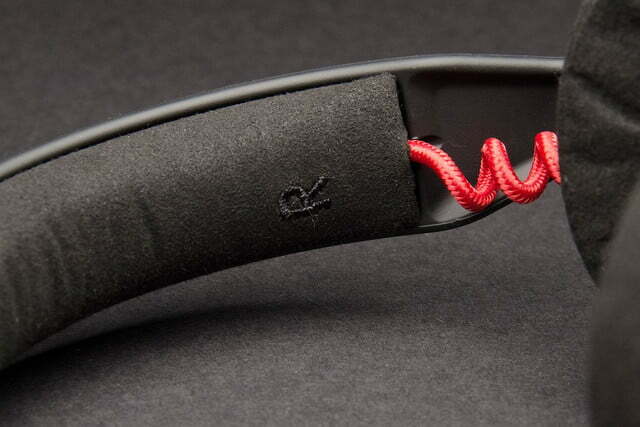 Other than the few changes mentioned above, the Guru look just like their brother, with smooth lines of hard plastic, rigid slotted arms, and nubile futuristic curves along the outside of the earpieces. Inside the baby-soft earpads are the only indicators of the brand or the artist, in the form of an AIAIAI logo on the left driver screen, and a Young Guru logo on the right. Beneath the screens sit the same 40mm titanium dynamic drivers we fell in love with the first time around, but with a sonic face-lift we hoped would come out alright once the bandages were removed. 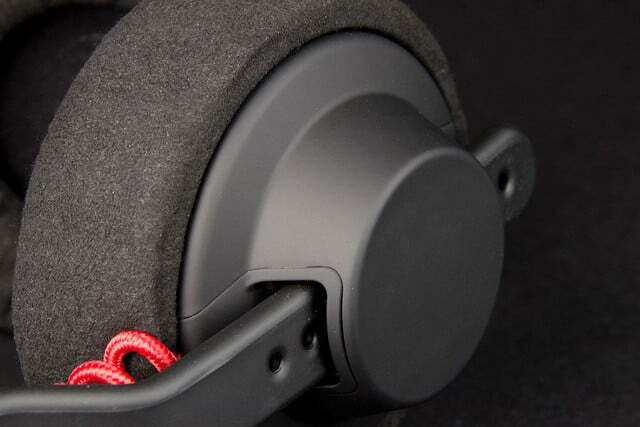 We have to admit, the Guru’s new silky, microsuede-cloaked pads were an improvement in comfort over the O.G. TMA-1 Studio, caressing our ears with a smooth touch from the moment we put the headphones on. The softer padding up top made the Guru an easier wear for longer periods of time, too. However, these things turn into earmuffs in hot weather, making them inconvenient as an outdoor headphone when the sun is blazing overhead. 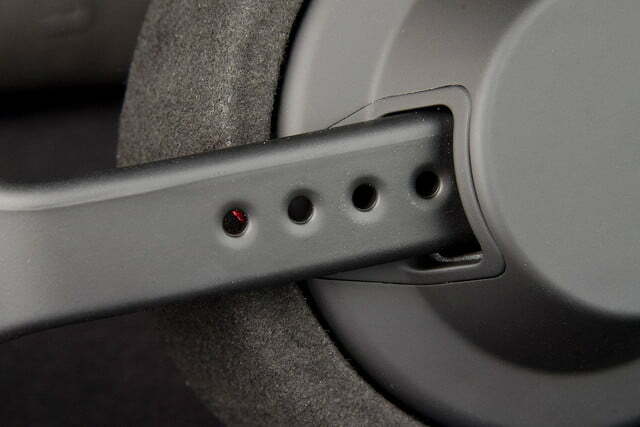 And the iOS in-line mic is the same clunky design we saw on AIAIAI’s Capital headphones, making it nearly impossible to skip songs. As we began our listening session with the TMA-1 Young Guru edition, we immediately noticed a brighter presence in the upper midrange and treble, bringing a much more forward and sizzling edge to the attack. We also noticed, to our chagrin, that much of that amber analog warmth from the original TMA-1 Studio was simply gone. Our first reaction to the change was that of an obstinate child: No! Stop it! However, as the drivers (and our ears) broke in a bit, we realized that the Guru compensated for the lack of warmth with extra clarity at the top end. And thankfully, the old friends we’d known so well, such as the velvety bass and deeply expansive stereo field, were still ready to play. The Guru’s presentation of acoustic instruments was a touch click-y at the attack of strings for our taste. It was never harsh or shrill, but there were moments in which guitar got chip-y, adding more tinny color than with the TMA-1 Studio. Vocals were also edgy at times, coming through with a pale cut that was more brittle than we wanted. Still, there were some beautiful moments to enjoy, especially on darker recordings. 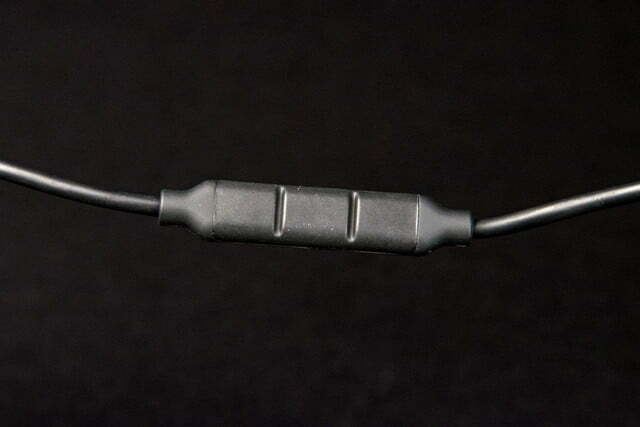 Resonance to instruments was clear with a silvery ring. And stand-up bass was rich and chocolaty, radiating its luscious presence from the center with the surety of an oak. The Guru also kicked out some great classic rock. Beatles and Zeppelin recordings were reproduced with lively buoyancy, bringing along that mossy, thick bass tone that gives the TMA-1 its cache. While cymbals were occasionally too forward (especially hi-hat, which seemed to be soloing at times) the added presence at the attack also brought forth some pristine clarity to electric guitar. Solos seemed to pop forth from the trenches, with well-defined saturation and room reflection. 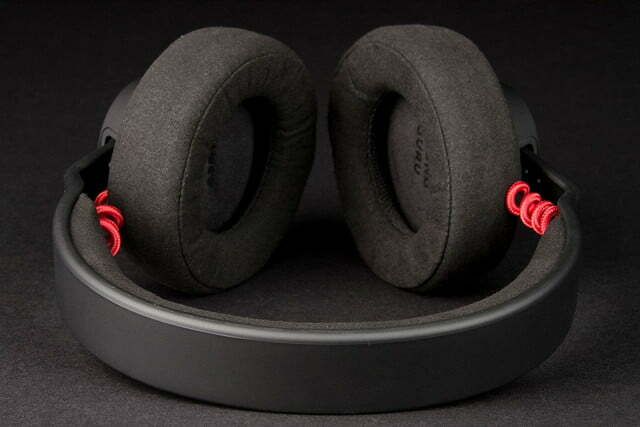 …these things turn into earmuffs in hot weather, making them inconvenient as an outdoor headphone when the sun is blazing. When we turned to the old stomping grounds of Radiohead’s In Rainbows, the Guru really showed us its mettle. This was where the original TMA-1 Studio caught our attention, and the new version did not disappoint. From the very entrance of “15 Step” we knew the Guru’s added presence was paying off. The cans dug into the crunchy synthetic timbre of the main groove with voracity. Moving through the album, we were entranced with the vivid delineation of the instrumentation, unearthing finite details like backwards cymbals and cloudy strings placed ornately in the depths, while the silhouette reverb of the vocal washed through the deep stereo field in ethereal strokes. We couldn’t end our testing without taking these headphones on a trip through some of Young Guru’s own mixes from Jay-Z as well, which produced some good results. The warm, punctual bass lines combined well with the sparkling upper register to bring power, brilliance, and clarity. Vocals were very well defined, and snare and cymbal cracks were live and clean, if not a bit forward. 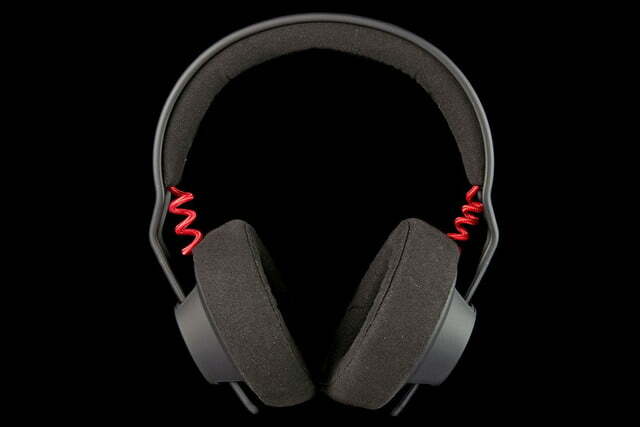 The TMA-1 Studio Young Guru edition bring a flash of presence and clarity to the top end, and keeps all the goodness of the original headset’s silky bass and deep stereo image to create a great listening experience. Contrary to Guru’s claims, we think the new edition’s brighter voicing pushes it closer to the DJ booth, more easily suited to rise above the droning bass and crowd noise. However, the erosion of the golden touch to the midrange, and the extra sizzle of acoustic instruments and cymbals keep us from rating this re-design on par with the original. 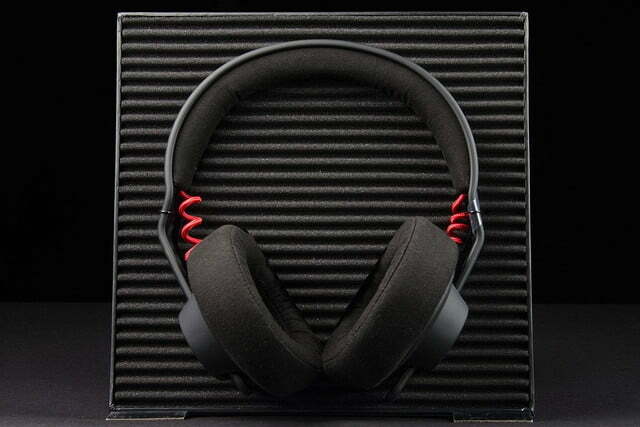 As a reference and an everyday headphone, we’ll still take the original TMA-1 Studio. 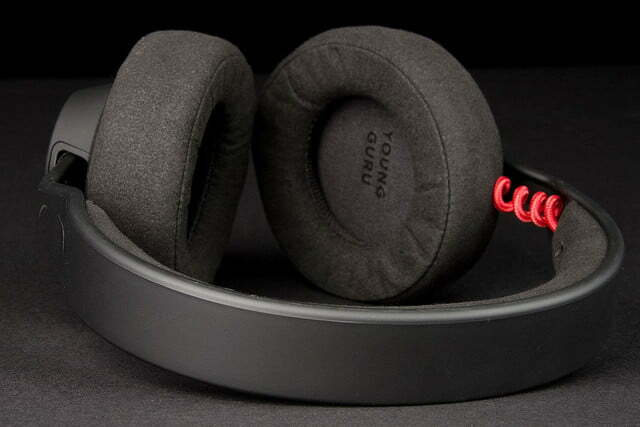 Either way, the Young Guru edition brings some welcome variety to an already versatile AIAIAI headphone line-up. And luckily, they’re both available, so the choice is up to you.